Fundraiser for Nicole Naugler by Pace Ellsworth : Save Our Family! Please go to www.saveourfamily.info for more updates! I’m Pace Ellsworth, family friend of Joseph and Nicole Naugler who are loving parents to ten children with an eleventh on the way. I live in Mesa, Arizona, and I’ve traveled all around the country investing in startups. I’ve known Joe & Nicole Naugler since early 2014 from an online networking group. Since then we’ve interacted almost every day, discussing our common interests in freedom and entrepreneurship. I am also the principal business owner of Capistan, which has crowdsourced funding for a dog grooming business for the Nauglers. Finally, I am the main contact for the Nauglers in their campaign to see the safe return of the children to their home. 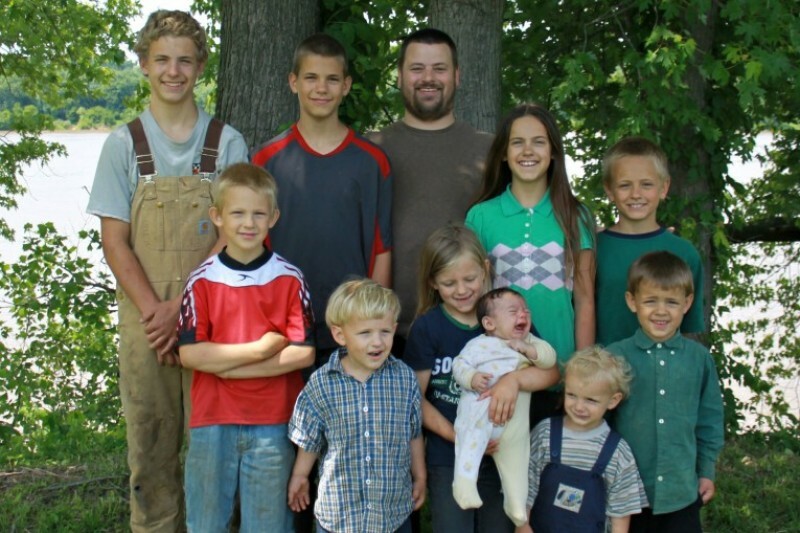 Their ten children are homeschooled on the homestead. They contribute to the success of the family crops and livestock, all while learning about the amazing beauty of life. $25,000 - Physical materials and upgrades including labor costs to the home including a fence, finishing a new primary living structure, and permanent solutions for clean water and electricity. $3,000 - Purchase of laptops or phones and other technology aids and a reading library of age-appropriate books for their children. $15,000 - Purchase of a newer, more reliable 15-passenger van for family transportation. $2,000 - Possible unforeseen expenses related to the children being kept in the home such as the cost of travel to fight this and time off work from Nicole’s pet grooming business. If excess funds are available beyond these needs, funds will be used for outreach to help other poor families in similar circumstances to keep their children. I have linked a local bank account in the name of Joseph and Nicole Naugler to this GoFundMe campaign. The Nauglers will be able to withdraw needed amounts in accordance with these specific objectives. Whether you can or cannot contribute, please consider them in your prayers, meditations, positive energies, and any other support you can provide to help Joe and Nicole keep the homestead alive while fighting to get their kids back. Share their story! THANK YOU SO MUCH for supporting the Nauglers in getting reunited and blessing them with sufficient funds to complete the homestead projects that Joe, Nicole and the children have been working towards.